Welcome, Casa Sol y Mar! Help us welcome Casa Sol y Mar to Diane Powers’ Bazaar del Mundo Restaurant family! 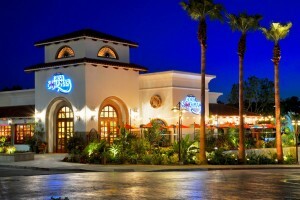 Casa Sol y Mar – the fourth restaurant in a family of fine Mexican eateries dispersed throughoutSan Diego– opened in May. The restaurant is located in the bustling Del Mar Highlands Town Center at 12865 El Camino Real, and is elaborately designed to reflect the true spirit ofMexico. Guests will sense the warmth and enchantment ofMexicoas they enter through the beautiful wood and glass doors and find themselves standing beneath a high glowing ceiling and breathtaking iron chandelier. The interior of the restaurant is artfully painted in a fiesta of gold, crimson, and orange jewel tones, sparkling from wall to wall with Mexican folk art, festive embellishments, and glazed Mexican accent tiles in red, emerald, and orange hues. The delicious menu is comprised of traditional Mexican dishes with an emphasis on flavor and freshness, including a large selection of regional entrees made from scratch, and award-winning seafood recipes that have been in the Bazaar del Mundo family for decades. The menu also features newly created small plates and appetizers, as well as entrees with a contemporary twist. Homemade dressings, salsas, guacamole and sauces are made fresh daily, along with hot corn and flour tortillas. There is also an extensive children’s menu, appetizing entrée salads and countless gluten-free, vegetarian and healthy dining selections. In the lively cantina, guests enjoy giant frosty margaritas, sip fine Mexican beers and consume tasty appetizers and entrees. The cantina features flat screen TVs and reclaimed wood tables framed with black hammered iron and custom bar stools upholstered with bright wool fabrics hand woven by artisans in Oaxara, Mexico. In addition, Casa Sol y Mar offers a collection of top shelf, premium and specialty tequilas including Reposado and Anejo-aged in white oak casts for more than a year. Check out the Cantina menu here. The Bazaar del Mundo Restaurants are famous for cheerful, strolling Mariachis who serenade guests Wednesday through Sunday evenings – completing the cultural experience. Casa de Bandini Banquet and Catering Reviews: Don’t Just Take Our Word For It! Casa de Bandini Banquet and Catering Services for wedding rehearsal dinners, wedding receptions, birthday parties, corporate meetings…see what some locals have to say after experiencing the attention to detail we provide and our commitment to making your event very special and very memorable. Love it! I love this restaurant so much, I had them cater my rehearsal dinner when I got married. Ingrid, the event manager was great, the service was wonderful and all our out of town guests loved the food. As for the restaurant itself, everything is really tasty and fresh, the decor is very nice. Delicious carnitas. Tasty margaritas with a good happy hour deal– $3.95, I think? It can get pretty loud in the main room, but the back room is quieter. We had our rehearsal dinner here, Friday, August 5, 2011. We picked out the buffet and Ingrid, the manager, did a SUPERB job putting it together! My friends and family were impressed by the quality of the food as well as the service! If you are planning a banquet, this place is it! I give it a FIVE stars. They will take very good care of you and will not disappoint! Thank you Casa De Bandini for everything!! You guys ROCK!!! Thank you for hosting our Holiday Party again this year. The food was AMAZING and thanks for putting up with all of us. 🙂 Everyone had a really great time! If you’re like most residents of North County, Casa de Bandini in Carlsbad is hands down your favorite Mexican Restaurant. It’s also surprising how many loyal Bandini fans from the old days in Old Town still make the trek up the 5 freeway to enjoy the award winning food, and of course those famous margaritas! But there’s another side of Casa de Bandini we’d like to tell you a little about: banquets and catering. Our Restaurant Manager Gilbert Gastelum and Banquet Supervisor Ingrid Loreto have assembled a banquet and catering lineup that can satisfy any gathering from a small breakfast meeting to a complete dinner at a company’s offices. It’s also that time of year again for wedding rehearsal dinners and receptions. If you have a spring or summer wedding coming up and have not yet booked a location for these events give Ingrid a call and she will let you know about availability of space if you want to have the festivities at Casa de Bandini, as well as the different food offerings available. She’ll also tell you about bringing the party to you if that’s an option you’d like to explore. Ingrid can be reached at 760-634-3443 or via e-mail at iloreto@casadebandini.com. Get in touch with us and we’ll gladly help you with your event, small or large. Special buffets can be designed for groups as small as 25. 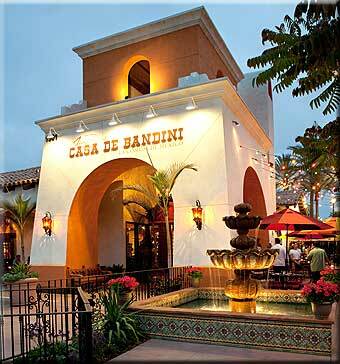 Let your group enjoy the ambiance and quality that Casa de Bandini is famous for. It will be our pleasure to serve you.